Well written and clear communication is the key to promote any idea, service or product in the modern business environment. Contemporary businesses use written language as a tool for the promotion and recognition of their capabilities. Hiring the services of experienced professional writers working for ::SenderCompany::, is a move that can bring about instant returns on your investment. We have been serving clients in the RELEVANT SECTOR for the past —- years with an excellent response. Our professional services not only take away your burden of rewriting and revising drafts of important documents, we also assist you in positioning and strategizing your offers through effective use of language. Your company is an established name in the field of —–. By hiring our experienced team of professional writers, you can be sure of having acquired valuable partners in your growth and high performance. Are you looking for a suitable line to start your introductory letter to a potential client? Would you like someone to replace an awkward slogan from the back of your company brochure with an appropriate one? Are you constantly losing time and investing increasing effort in reworking and revising various drafts produced by your team? As a small or medium enterprise, you are very likely to be facing a few or all of the problems mentioned above. In today’s business environment, lucid, persuasive communication plays an increasingly important role. In order to sell an idea, service or product, you need to convince the market of your capabilities and your potential for delivering successful results. Whether it is a business proposal, an offer letter, a brochure or script for a persuasive speech, well written drafts can prove to be your most effective means to win over potential clients and achieve your business goals. An additional challenge is the ever widening range of communication channels available to businesses of today. It calls for careful handling by someone with a comprehensive command over writing skills and sound knowledge of the rapidly evolving language in business. Your writing needs can be taken care of by professional writers whom you can hire for an affordable price. While it is unusual for most businesses to hire a specialized writer for promoting the cause of their business, outsourcing to a professional writers’ agency or individual writing experts is quite the norm with proven returns on investment. Employing writers, who draw from their exposure to businesses across various sectors, can bring you enormous benefits. They can give a modern shape to your outgoing professional messages resulting in a contemporary appearance and instant acceptability for your business. 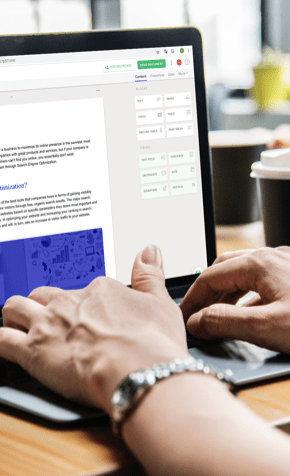 By hiring a team of professional editors and writers, you make sure that your message goes out loud and clear to those who matter for your business. By letting professionals do your writing from the very beginning, you set the bar high with clear, concise and up to date communication within the company as well as to the outside world. A flawlessly expressed, beautifully conceived promotional message in the form of an introductory brochure, a policy document or a media advertisement can work wonders for the value of your company in the eyes of potential clients. Compare a flawlessly composed introductory brochure to an unimpressive offer letter full of archaic words and ancient idioms. There is a lot that potential clients can easily gather about your company from the quality of writing you send their way and form instant opinions. Outsourcing your work to::SenderCompany:: means employing the services of a professional writers’ group which can help you meet your objectives and maximize your profits. Whether you are establishing a new product, service or idea, or seeking to revise a dated communication strategy or method, our team will ensure that your objectives are met and the results exceed your expectations. The strength of our work is deep and comprehensive knowledge of the clients’ long and short term goals and objectives and the passion and vision that has laid the foundations of the business. Our extensive research into the clients’ position in the relevant sector ensures that we produce messages as close to the heart of the clients’ business as possible, reflecting the company’s character and aspirations. We have a number of highly satisfied clients belonging to diverse sectors like software development, restaurants, virtual accountancy firms, fashion houses, textile design, architecture, healthcare services and advertising. Our efficiency, skills and reliability are proven through our long standing associations with our clients. We strive to provide the best writing services in business as well as sound advice on modern usage and strategic language. We don’t just rewrite the manuscripts we receive from our clients, we help them in conceiving and shaping the messages to match the challenge and choose the best possible medium for great results. Our professional writing services include content for all your publications including brochures, newsletters, business proposals, progress report, promotional material and website content including blogs. With [qualifications] in writing from [institutions], we have been in the professional writing business for the past [number of years]. Our team members have also conducted workshops/taught courses for —- at the —- schools and colleges [Insert professional achievements]. We, ::SenderCompany::, are a group of professional editors and writers, who take pride in our talent for writing and our ability to understand the minds of a diverse clientele. We write because we are fascinated by the power of the written word. We find it thrilling to be able to translate ideas into words and words into coherent prose to connect to the world. Our experience in working with businesses of all kinds has enabled us to understand the potential of each message and shape it according to the needs of the target environment. By hiring us, you don’t just get a writing machine, you also get the benefit of our specialized experience in diverse media. We provide customized content for your choice of media and suggestions for the improvement of the dissemination plan according to the nature of the message. Editing will include improving the language, grammar, style and punctuation [and/or rewriting]. If the client follows a style manual, it must be shared with us at the time of signing agreement [OR insert convenient time]. The ::SenderCompany:: will ensure confidentiality of the data which will remain the property of the client.